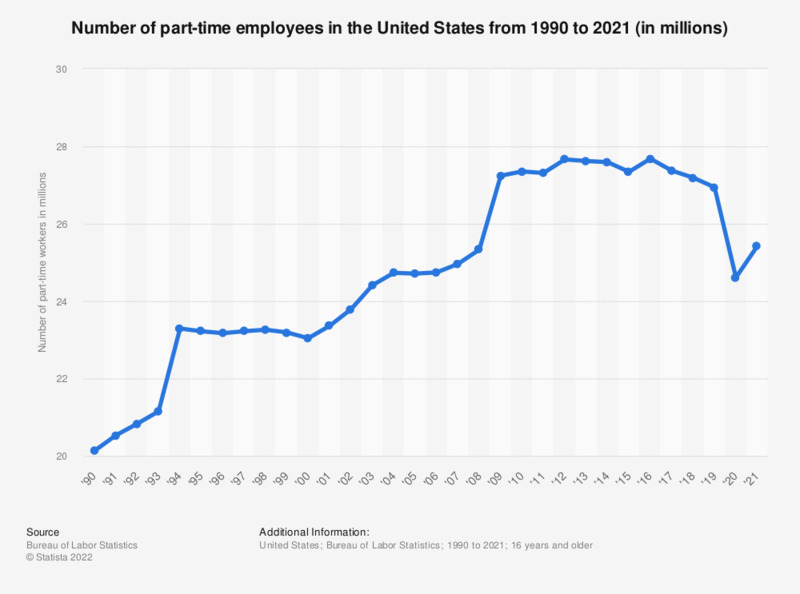 This statistic shows the number of part-time employees in the United States from 1990 to 2018. In 2018, about 27.19 million people were employed on a part-time basis. In line with the definition of the BLS, part time is 1 to 34 hours per week.